No. 99... just can't seem to remember what street in London! But very typical of so many of the vintage doorways lining the streets. Update: I was never happy with version one of this photo. Reworked it and I'm still not happy. (If I was a savvy little blogger I could add a link to version one or the raw image for comparison.) Guess it's just a dog of a photo, taken in very flat light of an interesting doorway. Oh well. It's so warm and inviting. Love the peeling paint and the colors. Nice! 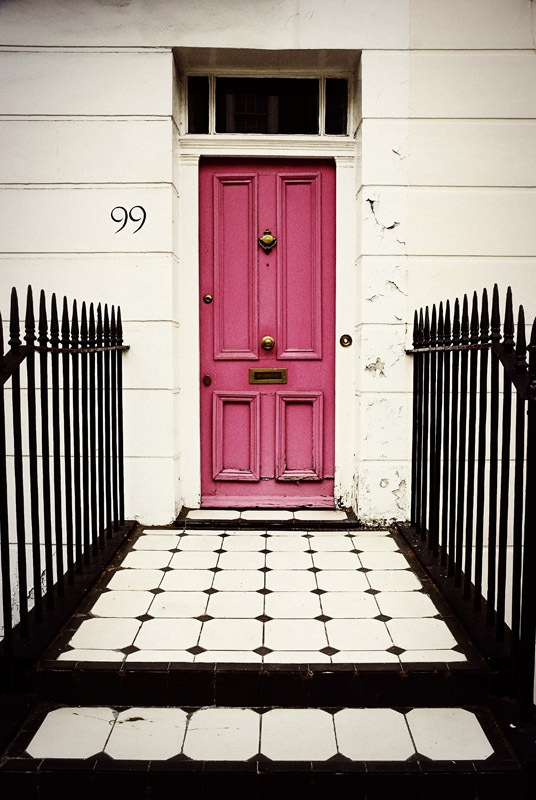 Gorgeous color for this door. I love the straight on capture and the tile walkway is incredible. What an amazing structure and so well captured.